1) Broccoli; This is my favorite veggie, and I use to hate it! It’s full of vitamins that will improve your skin and health! 2) Tofu; Tofu is made from soya beans and it’s a good source of vegetable protein, calcium and healthy unsaturated fats. It is also a rich source of antioxidants, as well as minerals iron, copper and manganese. I’ll recommend adding it in to your salad. It’s delicious! 3) Kale; Kale contains a full range of vitamins A, B complex, C, E and K, as well as potent levels of manganese, calcium, potassium, iron, magnesium, protein, folate and phosphorus. It will do great in a soup. 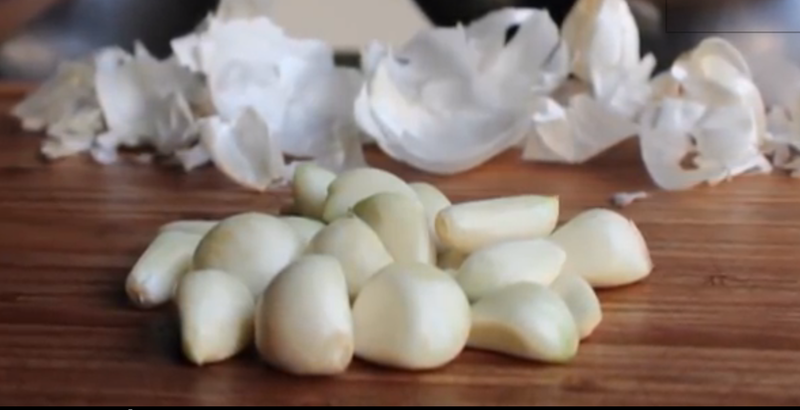 4) Garlic; Don’t eat it when you are going out at night, but garlic contains a natural chemical called Allicin, that kills many harmful bacteria. It’s also a good remedy against acne! Your skin will benefit max, if you eat it raw. Throw it into a meal before serving it for instance. 5) Fennel; Most people aren’t familiar with this highly aromatic and flavorful herb. Just Google it and you will see that you probably have eaten it without knowing it. Beside the skin benefits it’s also good for your hair. There are more vegetables that are good for your skin. Every month I will give you advice witch vegetables, fruits and other stuff you can eat to improve your skin.